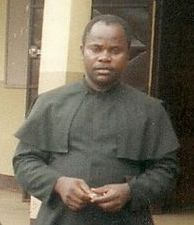 Rev.Fr.Isaac Anuchem is a priest of the diocese of Buea and was ordained in 1998 alongside two other priests: Fr.Willibroad Sakwe and Fr.Basil Sede. After his ordination in 1998, he served in Bishop Rogan Minor Seminary as Spiritual Director for a year. From here he was transferred to Regina Pacis College Mutengene where he served for four years as principal. Then he moved to St. Paul's College Bonjongo where he served in the same capacity for two years. From there he left the education circle and went to Fiango Parish where he worked for four years. He then moved to Ikassa Parish where he worked for one year as parish priest before moving to Tombel where he became the poineer Principal of Regina Coeli Comprehensive Secondary School. He served here for two years, from 2009-2011 before coming back to Bishop Rogan Minor Seminary as Rector. ''We would like to find out from you, after spending a number of months here in the Minor Seminary, what are the exciting and desolate moments as Rector of this institution'' Herald asked him again.
'' It is a challenging responsibility that you are entrusted with the formation of the future priests for the Church. I should not say i know it all.............I must state here that it is different in the sense that you are forming future priests for the church and great care has to be taken.....However, with the support of the staff and directives from the Bishops, we are doing what we can do to attain the goals of the Minor Seminary. Dear Father Rector the seminarians love you and your projects for the future of BIROCOL. A POLICY SPEECH PRESENTED BY THE SENIOR PREFECT OF BISHOP ROGAN COLLEGE ON BEHALF OF THE INCOMING REGIME. The ultimate measure of a man is not when he stands in moments of comfort, but when he stands in times of challenge and controversy. We have flown the air like birds and swam the sea like fishes, but have yet to learn the simple act of walking the earth like brothers. As a new regime takes over we should pray for its success. “Absurdum est at alios reqat, qui seipsum reqere nescit” with the English equivalent as “it is absurd that a man should rule others, who cannot rule himself” for a leader does not walk on beaten tracks because field situations change, men change, conditions change and environments change; so a real leader is one who matches his policies to the changing conditions. So it is therefore not a victory of any person, nor is it an attempted conspiracy to place some over others but is an opportunity of a selected few to say YES to the task of service with good faith and transparency. Therefore, we the DYNAMICS have taken as a point of honor to be fully committed and be at the service of others, for human progress is neither automatic nor inevitable…. But every step towards making BIROCOL a family in unity and love requires sacrifice, suffering and struggle, the tireless exertions and passionate concern of dedicated individuals. That not withstanding, our reluctance for conflicts should not be misunderstood for those who love peace must learn to organize as effective as those who love war, for wars are poor chisels for carving out peaceful tomorrow. Please give us the opportunity to carryout our role as prefects. We are unwilling to experience the undoing of those ills which this seminary has always been committed to such as brutality, theft, lies telling, recalcitrant attitude towards activities, and injustice of any kind. As a result, we are called to be individually committed to a common effort which is what makes a team work, society work and civilization work. Here, I urge you my prefects to never relent in your effort in doing what is right and be ready to show a good example to others and be aware that injustice anywhere is a threat to justice everywhere. Thomas Jefferson says and I quote “the surest way not to fall is to be determined to succeed” by this we should all be determined to take the helm of spiritual, intellectual and social aspects of our formation seriously. Spiritual aspects shall be taken with honor, for our lives begin to end the day we become silent about the things that matter. Therefore, disobedience to the rules concerning the chapel will be a sacrilege. It is in our greatest interest dream to improve on the intellectual standards of our minor seminary in this light; we shall cater for the welfare of the Form Five and Upper Sixth Form students, so that they will keep the records high. Lucius once said “No one can live a happy life or even one which is bearable without the pursuit of wisdom and that the perfection of wisdom is what makes a happy life”. So for us all to keep the flag flying and be happy, we must all strive for the best. We assure you that, this will be a reality. Do you Promise to be devoted to your post of responsibility and perform it with all humility and insight…? Yes, I do. Do you promise to respect your masters and those put before you to serve…? Yes, I do. Do you promise to strive together in progress to achieve success…? Yes, I do. The good Lord who has given you this opportunity of service will guide and protect you throughout your reign. On my humble part, however, I pledge to you today the responsibility to guide, protect and improve the values of our noble institution in accordance with the rules and regulations. Everybody can be great because anybody can serve. You don’t need to have a college degree to serve or you don’t need to make your subject and verbs agree to serve. But only need a heart full of grace, a soul generated by love. Long live the Holy Mother Church. Who was Bishop Peter Rogan? The Right Reverend Peter Rogan was born on 10 August 1886 in Gibraltar where the family was stationed and his father served as a Professional Military man. He was the second son in a family of six children, five boys and one girl. His mother died at an early age leaving her husband alone to raise their six children. In this task, he was assisted by a saintly woman, Mrs. O'Callaghan, who worked for him as housekeeper. Peter Rogan joined the seminary to study for the missionary priesthood at the Mill Hill in London as was later ordained a Missionary Priest of Saint Joseph's Society for Foreign Missions of Mill Hill, on 25 Jul 1909. On the 26th June 1925, he was appointed Prefect of the Prefecture of Buea, Cameroon. He was appointed Titular Bishop of Acmonia and Vicar Apostolic of Buea, on 15 March 1939 at the age of 52 and received episcopal consecration on 18 June 1939 as Titular Bishop of Acmonia. 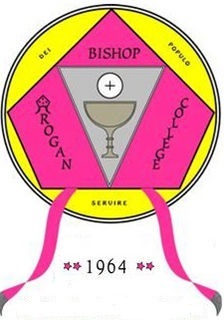 On the 18 Apr 1950, he was appointed Bishop of Buea diocese and served as chief Pastor of God's people till 18 Aug 1961 when he retired as the Bishop of Buea diocese at the age of 75. On his retirement he was appointed Titular Bishop of Nicius. He died as Bishop Emeritusof Buea on the 1 Dec 1970 at the age of 84.